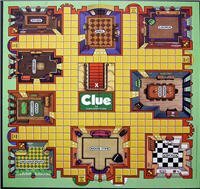 Many of us remember playing “Clue” a popular board game from Parker Brothers. We had to determine who, what and where something happened by a process of elimination. For me, at least, it wasn’t easy. It was hard to keep track of all of the players and locations and who was where when. When it comes to food safety and recalls, it can be even more complicated as contamination issues need to be tracked to the source and then traced through distribution to a myriad of retailers and ultimately to consumers in order to stop the spread of tainted product. And, unfortunately, there seems to have been an increase in the number of recalls with one grower having just now issued its third recall in two weeks time. We should applaud their proactive approach to removing potentially contaminated produce from the supply chain as quickly as possible. What can we do to improve the traceability process? Trying to sort the clues using paper-based systems be a time consuming and complex process fraught with dire consequences. The Food Safety Modernization Act (FSMA) is designed to help remedy this problem and RFID-based track and trace systems can be a big part of the solution because they have the ability to capture and digitize information for more rapid analysis. Pallet-level temperature monitoring RFID tags not only helps to improve shelf-life management but also can store way point data about the product as it moves through distribution. Having an electronic – rather than paper-based system – can help speed the search to the source of the problem and then more quickly identify who has received and distributed the product, potentially shaving days or weeks off the recall process. Not only does this help to ensure public safety, it also helps protect the growers, packers, shippers and distributors by enabling them to better manage their supply chains in the event of a recall. We have a short white paper on the impacts and benefits of the FSMA which you can find here.